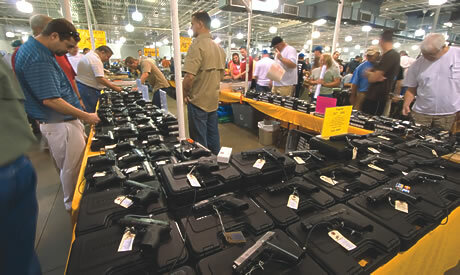 In Fort Worth there is an annual gun show held at the Will Rogers Coliseum where people trade and view weapons and generally sale their merchandise to the companies or businesses. I am only familiar with the event through huge billboards promoting it in the area where I live. There is also a weapons store in the neighborhood that has a billboard as well. The advantages of these billboards and signs, as well, as the show promotes gun sales and bring awareness of the event. The show as Ogden & Ogden wrote, “Trade shows are large events that bring together many sellers to showcase their products or services.” (Ogden & Ogden, 2014). Some of the examples are: (a) trade allowance, (b) contests, (c) incentives, and (d) trade shows. (Ogden & Ogden, 2014). How many corporations base their decision to exhibit on total attendance? They hear that 20,000 buyers will be at the show and think they are going to get a few thousand leads, but don’t have a plan in place or the ability to be able to qualify and follow up on that many. And how many companies go to trade shows simply for image — because they feel their absence would speak louder than their presence? (Reveal, 2014). 3. Failing to develop specific goals. 4. Forgetting to read the exhibitors manual. This entry was posted in Community, Education and tagged Business, Buyers, Gun Shows, Retail. Bookmark the permalink.